In preparation for running my first marathon, I decided to invest in a new pair of running shoes. It was important to me to make sure they were a quality investment, so I gathered as much information as possible. I started with the basics: size, width, and type of shoe. As I began to narrow down my options, I read dozens of reviews to see what others—both experts and fellow amateurs—were saying about them. After I found a pair I liked, I compared them to other similar shoes to make sure I was getting the most bang for my buck. Like in shoe shopping, when consumers make decisions about whether to purchase goods or services, they are typically able to access information about quality. In most cases, more information than they could ever possibly absorb. This information is particularly important for large purchases, such as cars, houses, and health care. However, even though the average American family spends more than ten percent of its income on health insurance premiums and deductibles, there remains a lack of quality and value information to help make decisions. The health care system has developed its own measurement system, commonly referred to as quality metrics, but the majority of these are not meaningful or relevant to typical consumers. Some of the metrics include the percent of people with diabetes who had their blood sugar tested and controlled, the ratio of providers to patients, and the percentage of people receiving preventive services. While these metrics are important, they’re not always helpful to consumers trying to make choices. How we define “quality” is very important, because we want a good value for our health care dollars. Rather than paying for a service (like running a blood test), which incentivizes quantity over quality, there is demand for the health care system to move to a value-based payment system, which incentivizes outcomes instead. It will be essential to engage consumers in the development of new quality metrics—the care, health outcomes, and measures that are most meaningful to them. Evidence suggests that consumer engagement can make payment reform efforts more patient-centered. Consumers are the most important stakeholder in payment reform initiatives, and they deserve to have their voices heard. At Center for Health Progress, we believe the voices we most need to hear are those who are facing real health challenges that often stem from a lack of equitable and quality health care. Across Colorado, there are dozens of pilot projects and experimental initiatives that aim to create greater value in health care; to ensure that these state and local efforts are informed by and held accountable to consumer needs and priorities, we co-convene the Health Systems Transformation Coalition. Later this month, the Coalition will release a publication that will help guide payment reform leaders in creating consumer-informed quality metrics. 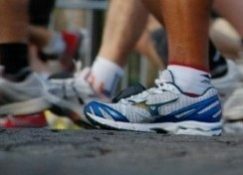 When companies are developing new shoes, they recruit runners to test their products and provide feedback. If consumers have the ability to help design and access critical information about small purchases, like running shoes, why can’t they have the same input in our health care system? Lace up and spread the word!